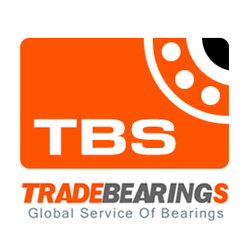 Site Description: INCORPORATED AND LOCATED IN EDMONTON, ALBERTA CANADA; SPHERICAL SOLUTIONS IS A SPECIALTY DISTRIBUTOR OF BEARINGS, POWER TRANSMISSION AND RELATED DRIVE COMPONENTS. OUR DECADES OF EXPERIENCE ARE FOCUSSED IN THESE PRODUCT AREAS. WE ARE DEDICATED TO ENSURING THAT YOUR WORLD RESOLVES SUCCESSFULLY. FROM YOUR FAVORITE BAR STOOL TO THE AIRCRAFT WE ALL USE TO TRAVEL HALF WAY AROUND THE WORLD IN A HANDFUL OF HOURS TO THE EQUIPMENT SMALL OR LARGE, THAT ENSURES YOUR COMPANIES PROFITABLILITY. WE WILL DELIVER WHAT YOU WANT, WHERE YOU WANT...WHEN YOU NEED IT. Tips:Dear [www.sphericalsolutionsinc.com] site administrator, the links on this page links to your site, you can quickly come here next time to update your site information!You can be routed to the front of the home position, so that more people see the information for your site.